The most Earth-like planet so far, has been discovered. 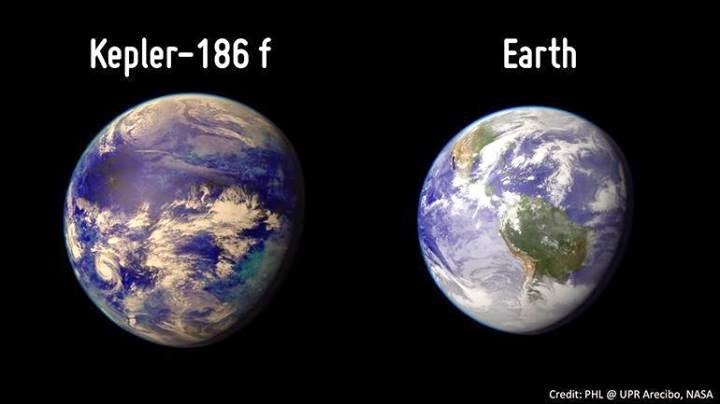 The rocky planet called Kepler 186F, is close to the size of Earth and has the potential to hold liquid water which is critical for life. NASA astronomers discovered an Earth-like planet about 500 light years away that might be able to sustain life as we know it. 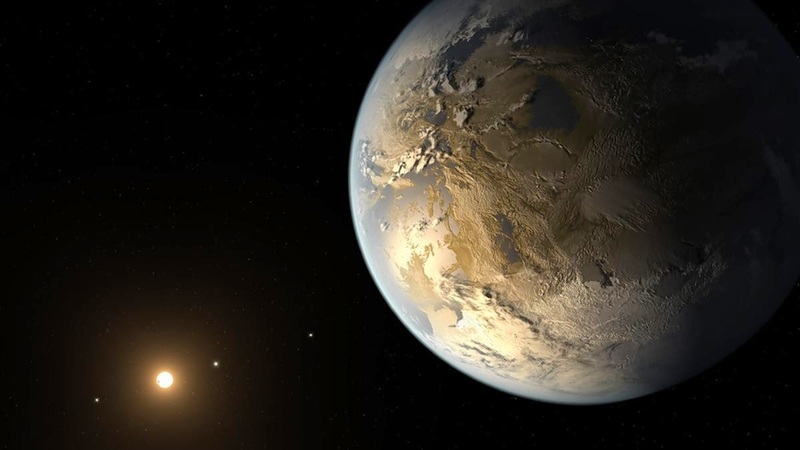 Astronomers have discovered what they say is the most Earth-like planet yet detected a distant, rocky world that’s similar in size to our planet and exists in the Goldilocks zone where it’s not too hot and not too cold for life. It was spotted by the Kepler telescope which has found nearly 1,000 new worlds since its launch in 2009. The planet is about 10 per cent larger than Earth and may very well have liquid water a key ingredient for life on its surface, scientists said. That is because it resides at the outer edge of the habitable temperature zone around its star the sweet spot where lakes, rivers or oceans may exist without freezing solid or boiling away. The planet probably basks in an orange-red glow from its star and is most likely cooler than Earth, with an average temperature slightly above freezing, “similar to dawn or dusk on a spring day. While Earth revolves around the sun in 365 days, this planet completes an orbit of its star every 130 days.